Over the last ten years we have seen over 40 acts of terror that have involved the use of vehicles as a means to cause harm against pedestrians within the OECD Member Countries. Often these attacks take place in Places of Mass Gathering (PMG) or where there is a known or expected containment of people in a space. Hostile Vehicle Attacks (HVA) are easy to carry out and involve little planning, and for these reasons, the perpetrators are often not monitored by security officials. What has been the context behind HVA, for one we have seen a rise in the use of everyday vehicles used as weapons by those with political motives and, all too often, have a mental illness. As stated previously, the use of vehicles as a weapon is nothing new, the 2008 Jerusalem BMW attack would give rise to what would become the new modus operandi of terrorist groups and their sympathisers around the world. 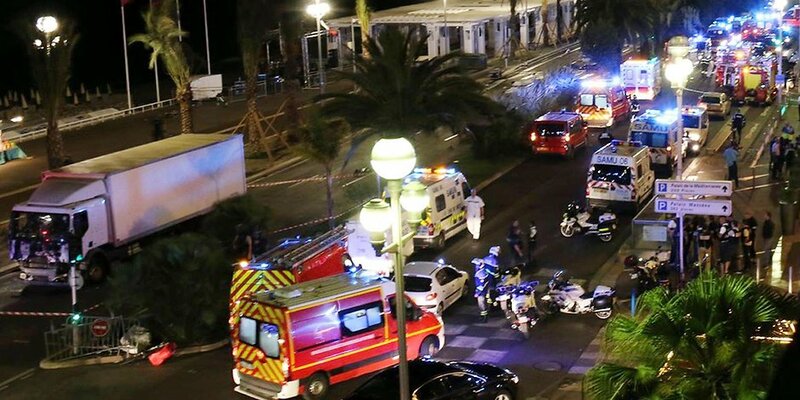 Ultimately, it would take an event like that of the Nice attack in France to show policymakers and security professionals that HVA is a new and real threat which gives low skilled attackers the capability to undertake mass casualty attacks largely unbeknownst to security agencies. What’s being done to prevent hostile vehicle attacks? There has been a lot of research and effort invested into the study of Hostile Vehicle Mitigation over the last three years, with the Australian Government realising a guide for Hostile Vehicle Mitigation in Crowded Places back in 2017. This guide was the first major strategy document of its kind published in Australia. However, upon its release, it became evident that the document had already become outdated in parts, although much of the science behind HVM has not changed. The need still exists to separate pedestrians from vehicles through layered controls that are fit for purpose, that complies with industry certification and most importantly meets the threat context at the time. An over-engineered solution will do nothing but make the space feel unsafe, unusable and most importantly have an undue financial cost. However, where the space is under engineered the viability of the controls, as effective as they are, they often become irrelevant in the face certain threats. It is, therefore, most important that when designing an HVM system, you treat it as exactly that, a system, where all components link with each other to achieve a holistic security solution. While it’s important to design a space to counter the threat of terrorism, it’s also important to remember when undertaking a threat and vulnerability assessment, to take into account the irrational decision maker. All too often the actions taken by those suffering mental health issues or who are under the influence of drugs or alcohol make even the best design security system vulnerable. Often, the methods used by these individuals cannot be controlled. However, the consequence can be reduced through effective planning, communication and response. So, what have we seen most recently? 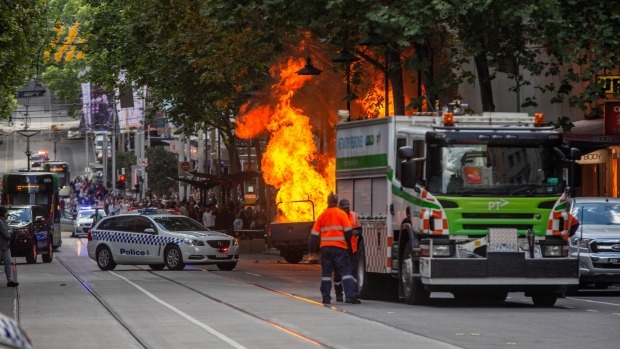 The latest attack in Bourke Street, Melbourne saw the use of gas cylinders that were lit on fire with the presumed intent of driving this vehicle into a crowded place to be used as a Vehicle Borne Improvised Explosive Device. Such attacks to date have not been deemed to be a very high likelihood by many, even though similar types of attacks have been used in other countries in the past, to varying effectiveness. This being said, how do we mitigate this new type of attack? And will it happen again? The answer to that is likely yes, throughout the study of terrorism we have seen the use of prior attacks often in high threat zones like that of Israel, often arrive in the West. When planning on how to mitigate these threats the answer is often simple, increase the space between pedestrians and vehicles and increase target hardening to ensure that if, or when, an attack was to happen the consequence is dramatically reduced. 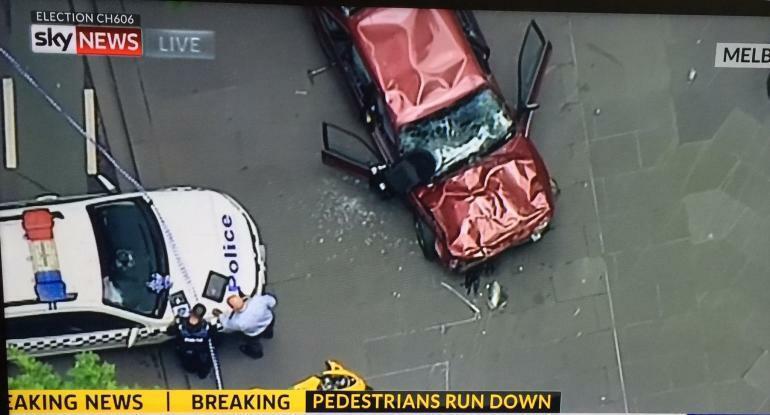 However, it is also important to remember the alternative tactic used in the Melbourne attack, this being the use of a knife to cause harm to pedestrians and police. Although this is a different field of terrorism studies than what’s explored here, the two fields often overlap and where the threat of HVA is effectively reduced, so is the consequence of these ‘lone wolf’ methods of terror.